While divorce has the potential to be emotionally-devastating, the need to establish a parenting plan can cause even more heartbreak amongst parents and other involved parties. Perhaps not surprisingly, it is not uncommon for child custody to be the last thing that stands between feuding spouses and a finalized divorce. As seasoned child custody attorneys in San Francisco, the legal professionals at Fenchel Family Law understand this, which is why we always strive to formulate a parenting plan that is appropriate for your needs, as well as those of your child. As per California law, the court has broad discretion in all matters relating to child custody, and the decisions made by the court are often determined by the child’s best interest. A skilled San Francisco child custody attorney can help ensure that the court is scrutinizing your current and proposed parenting plans with a fair, unbiased lens, as well as navigate you through every step of mediation as you and your ex-spouse work together to hash out a plan that works for everyone. 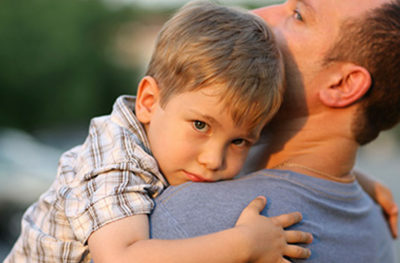 Need a San Francisco Child Custody Attorney? Protect yourself and your loved ones. For all your child custody and family law needs in San Francisco, CA, rely on the proven attorneys at Fenchel Family Law.